Check out the best Boxing Day sales and the cheapest rates on appliances, gadgets, apparels, toys and almost every gift idea from your favourite online retailer. Don't forget to use voucher codes plus special offers on your online purchase from Lego, Next, Amazon, River Island, MandM Direct, Debenhams, lookfantastic and Yours Clothing. Amazon Boxing Day Sale 2018 - ENDS MIDNIGHT! Superdrug Boxing Day Sale Has Started! 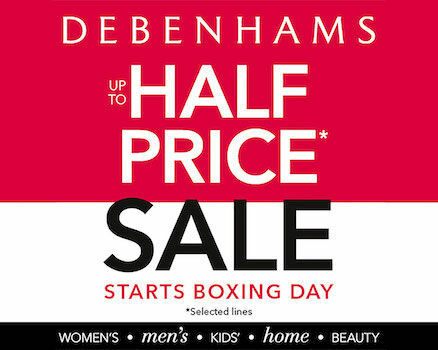 DEBENHAMS SALE - ONLINE NOW! What are the 2017 BOOTS Boxing Day Sale Offers? 24th December ONLINE! Enjoy the best sales on Boxing Day with voucher codes from Latest Deals! Boxing Day comes from 17th century Britain. Employees got a Christmas Box filled with practical goods and food as a gift. Now it's called Boxing Day, but there aren't any gifts - just big sales and deals to shop. From clothing, toys, gadgets, sewing machines, amusement rides, sofas, carpet, and more…. Boxing Day Sales are a fantastic way to save money. All the big retailers cut their prices. Unsold Christmas stock becomes available at a fraction of the cost, as shops try to clear it for the new year. Where Can I Find Cheap Boxing Day Deals? 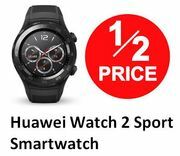 Here at Latest Deals, you will find special offers, discount codes and clearance deals available for Boxing Day sales UK 2018. From electronics, home appliances, and household items, you will not run of options to pick from. 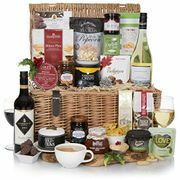 Own the most affordable Boxing Day sales online from trusted UK retailers including Amazon, Boots, Debenhams, LEGO, Linencupboard and more. We have a team of money-saving experts, and a community of bargain hunters who regularly verify and share the best discounts and deals on boxing day sales 2018, London sales 2018, and London sales 2018 dates. Amazon. Shop during the Boxing Day sale of UK and own the best deals. There are definitely shoes, bags, outdoor products, and other items that you can select from. Use discount codes to save more from your purchase. Check out for the deals typically shared by our community of bargain hunters. This retailer has been very generous during the boxing day sales 2017, so you can expect for more. Boots. Boots is known to give at least 50% to 70% off on its fragrance, gifts, and other selected items for sale. Enjoy best quality products on health and lifestyle without compromising your budget here in Boots. Use discount codes and voucher codes to do this in a more cost-effective manner. Debenhams. Find the best Boxing Day deals and discounts on Debenhams. Shop for the most memorable gifts at half the price on their selection of mens, womens, kids, home and beauty even in a tight budget. They have done it in Boxing Day sales 2017, they would surely do it again now. Tesco. Enjoy deals on technology, household goods, toys and clothing at Tesco for Boxing Day. Get some serious money off on their consoles, TVs, gaming laptops and laptops sale as well as 50% off on select grooming tools for men and women.. Aside from this, you can also check on its other deals for furniture and bedding to save more on your shopping. 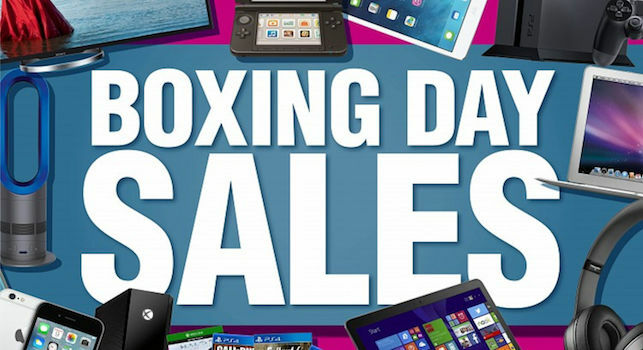 What Can You Buy during Boxing Day Deals? Bargain hunters parts with £500,000 every minute online, with millions flocking to High Streets across the country to take advantage of discounts during Boxing Day sales UK. Electronics. Nothing can be more devastating than your laptop crashing down, or your projector acting up. As this is the case, do not ever shy away from replacing yours. Even if electronics tend to be expensive, you will still find great deals on Boxing Day sales. Check several retailers for whatever you need. From TV, tablets, phones, and others, there will be marked down on prices that you can look at. Home Appliances. Just like electronics, home appliances including freezers, refrigerators, dryers, washers, and others, may cost you a good amount of cash. Take advantage of Boxing Day deals so that you can replace yours that maybe consuming a big amount on your savings in case you had to replace them unexpectedly. There are rewards including shipping, coupons, and other codes that you can maximise in here. Do not forget to do so. Household Items. Boxing Day has always been the best time to fill out the household items that you still do not have. From kitchen gears, cleaning supplies, among others – there are many selections you can weigh from Boxing Day shopping. It would really be amazing to fill your house with everything that you need. The perfect time is during Box Day because you really do not have to spend so much in fulfilling your needs. This is the best part of it. Designer Items. The Boxing Day is your chance to own designer clothes, bags, shoes, accessories, and more. Nab that Burberry scarf you have been dreaming for in a while. 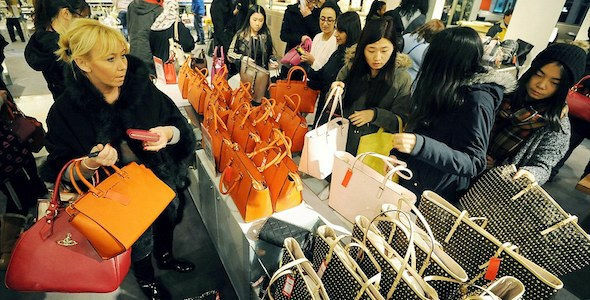 From Kate Spade to Karl Lagerfeld, you can buy any of your preference without hurting your budget. Christmas does not come every day, so why not take advantage of the opportunity? In this video, you'll learn all about Boxing Day in England and how it's celebrated, from food to decorations.